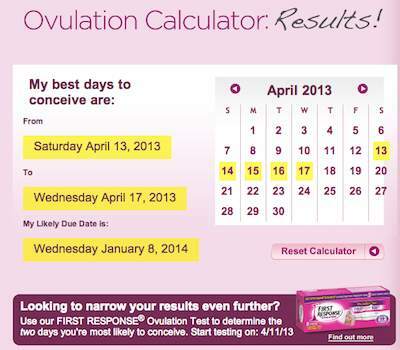 This is the ovulation calculator from "First Response", a pregnancy test. They really miscalculate the fertile days by incorrectly indicating that there are many fertile days AFTER ovulation, when in fact there are NONE. Seems to me that they DO NOT want you to get pregnant so they can sell many more pregnancy tests.